Yes, bodybuilding is a sport. And it just so happens that Greg is pretty good at it. You can ask Greg and he’ll tell you that the sport itself is difficult to describe. In last 10 years, bodybuilding competitions have added new divisions for both male and female competitors, but Greg prefers classic bodybuilding. The criteria? It’s fairly simple to explain, but rather difficult to judge. The objective for bodybuilding competitors is to show off a physique that is as muscular and lean as possible while still being pleasing to the eye. In competition, every aspect of the body is scrutinized: How wide are your shoulders? How defined is your back? How narrow is your waist? And so on. On stage, under the hot lights and the scrutinizing eyes of spectators and judges, the pressure might be enough to rattle the average competitor. Yet Greg is a seasoned athlete who has been involved in competitive athletics since the first grade. And from this very early age, Greg developed an incredible appetite for winning. Greg first found his competitive groove in tennis, competing as a USTA junior, high school, and NCAA Division I athlete at Long Beach State University. Seeking a new challenge, Greg began training as a kickboxer and mixed martial artist. Fighting for Steve Fossum’s International Kickboxing Federation (IKF), Greg earned a staggering 18-1 record fighting as both an amateur and professional. He amassed three US titles in three different weight classes. When Greg’s wife, an IFBB professional figure competitor, introduced him to IFBB Hall of Famer Flex Wheeler, Greg caught the competition “bug.” It’s a good thing Greg loves winning because the training regime is insane, the diet requires incredible discipline, and the preparation requires attention to a million small details. And in spite of this, Greg has never placed lower than second in a competition. He’s got his sights set on a California state title this year and a national title within the next year. Some people do things for the journey. Some people do things for the destination. Greg is a destination person. This is why he can tolerate the training and diet demands. And during all this, Greg would never recommend that we mere mortals follow this same training regiment and diet because it’s simply not sustainable for a long-term healthy lifestyle. While Greg’s clients respect him for the way he coaches, we also respect Greg for his competitive nature and drive to succeed in sport. 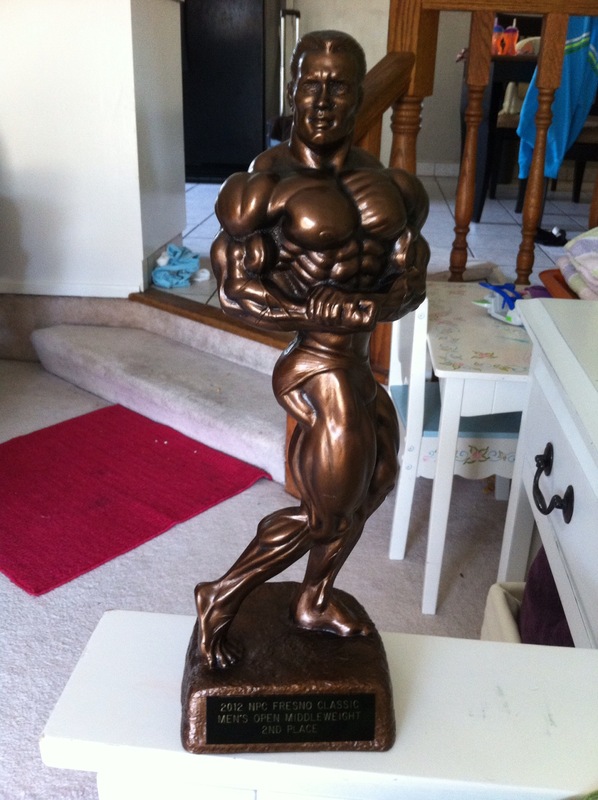 Greg competes in a huge show this weekend in Hayward. We’re trying to get an FIT contingent to show our support for Greg as he looks to improve on his recent second place finish.